Its been nice here at wordpress.com, but the strawville blog is pulling up stakes and migrating over to our new website. You can find all the archives and new posts at the brand new strawville. If you’re a current blog subscriber please re-sign up on the new blog (Just enter your email in the left column of the page). Come on! The past few weeks have been evenly divided between time spent in the lovely moss studio and time spent on the lovely moss patio. As the weather has warmed, I’ve found the latter more difficult to resist. 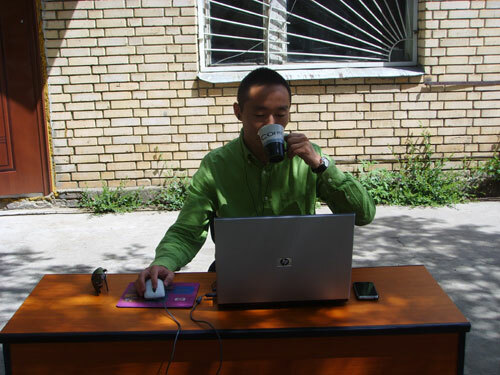 Outdoor offices are kind of an oxymoron, right? Computers, buzzing phones and suits don’t belong on a grassy plain. At least, not yet. As this Fast Co article explores, why aren’t we taking our work outside? Our increasingly digital lives supposedly enable us to work from anywhere; why must that place necessarily have windows and four walls? Though there are tasks that need to be done from inside, there are those sunny, gorgeous days that it feels criminal not to enjoy. 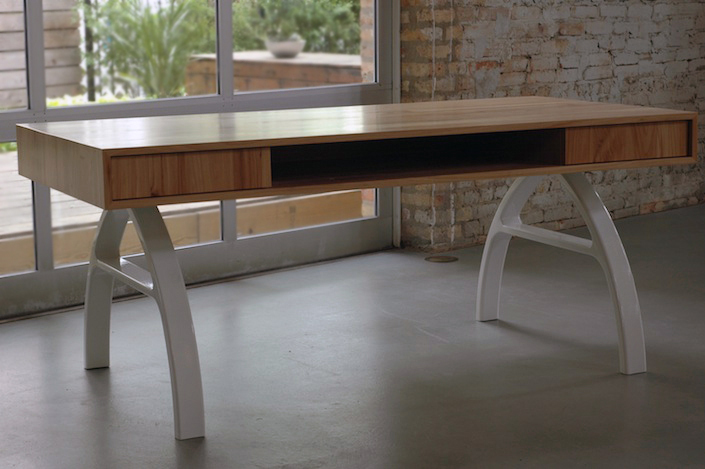 Until offices like the one below are commonplace, here are our tips for unplugging and working outdoors. It’s that time again! Lots of lovely spring and summer produce is slowly revealing itself to sunnier days. The moss loft is flanked by a variety of plants native to Illinois. Why native plants instead of turf? Of the 26 billion gallons of water consumed daily in the United States, approximately 7.8 billion gallons is used for outdoor irrigation. The typical suburban lawn consumes 10,000 gallons of water above and beyond rainwater each year. Replacing turf with native plants can reduce water usage, improve soil structure, reduce soil erosion and restore natural habitats. Many native plants are disease and pest resistant, attract beneficial pollinators, are drought tolerant and do not require fertilizers. More photos and the benefits of companion planting after the break. 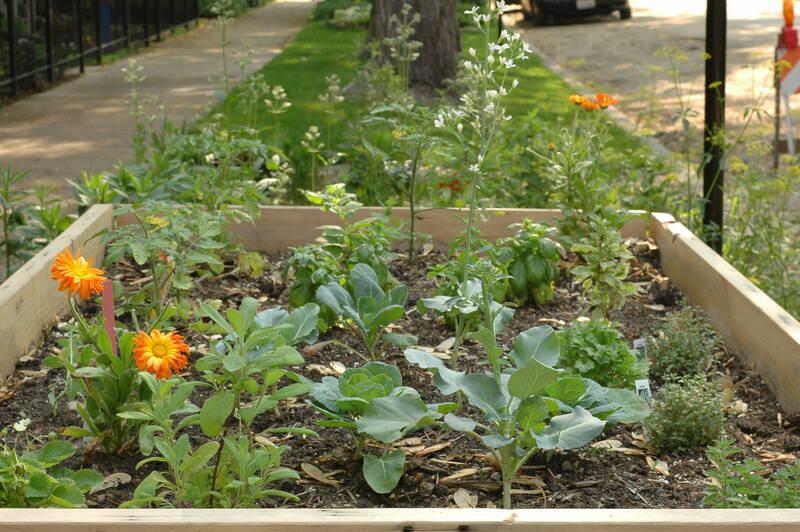 Our Andersonville parklet project is featured in Treehugger. Check out the full article here. Read more about the parklet on our original post, and view renderings here. “Packaging” is a sort of ho-hum word to describe the shell for treasured goods being shipped across the country, or halfway around the world. It’s also a poor descriptor for the seductive sheath that researchers pour gallons of time into and designers stay up nights agonizing over. 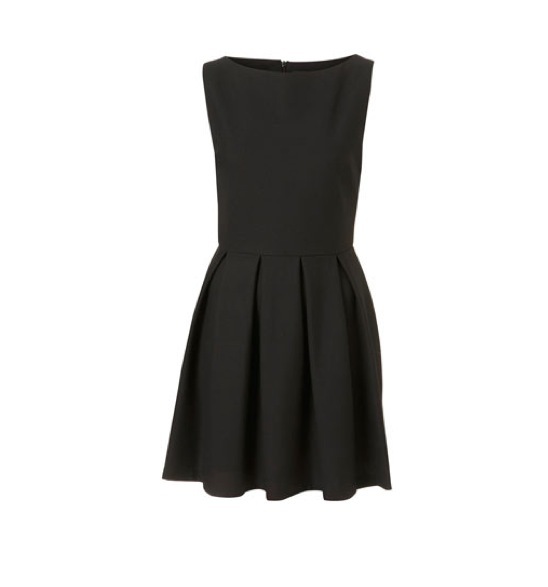 We’ve definitely made consumer choices based on packaging alone, simply because said item looks better on our dresser. 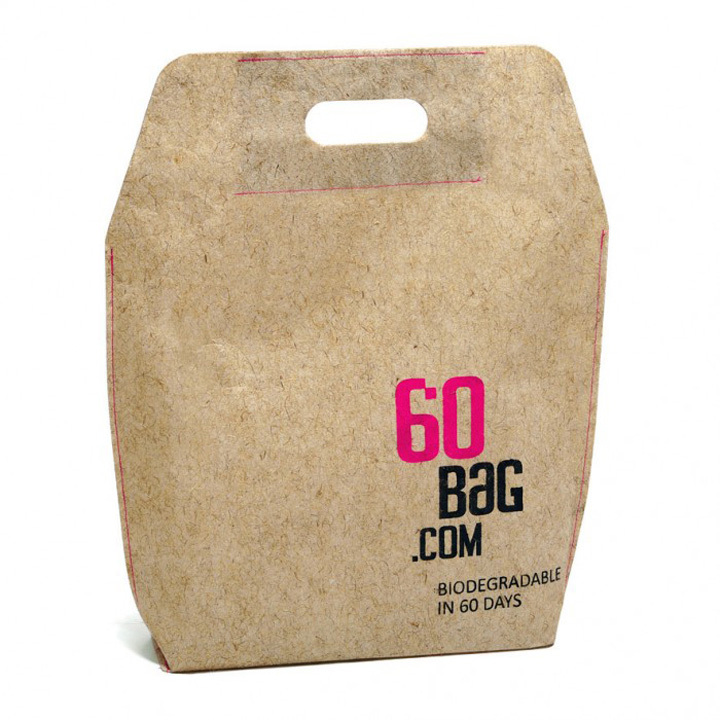 But nearly always, the shelf life of the packaging is a lot shorter than the time it took to dream up. That’s a lot of Styrofoam/plastic/etc. in a lot of garbage cans. This week’s edition is about genius alternatives to vessels that far outlast their cargo. We are excited to announce that our parklet project is a candidate for Ford’s Community Grant. 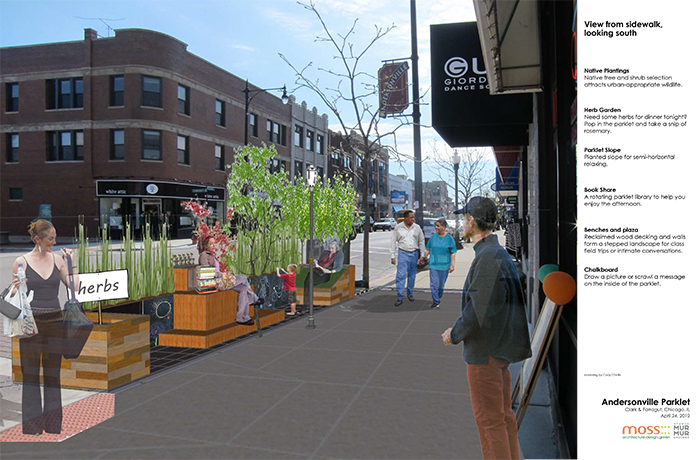 Designed in collaboration with Studio Murmur, the parklet will provide a green oasis complete with seating, planters and an herb garden in the heart of Andersonville. Vote for our parklet this Saturday and Sunday at Chicago’s Green Festival on Navy Pier, which will have free yoga, and homebrew classes, among other sweet-looking activities. With this additional funding, we could fuel seasonal plantings, park seating and the seedlings of future parklets. Check out our official renderings above and below this post. Hope to see you there! Less can be more. Or it can be less. There are extremes: hoarders; or the guy who owns 15 things. But there is also balance. Regardless, while a walk-in closet is some people’s idea of delightful, for me it dredges up memories of my forever unkempt floor, (although to be honest, I would still love a walk-in closet.) That’s where these bloggers inspire, people who’ve lavished the filters of utility, essentialism and true love onto their lives and emerged with less. Or at least deeper reasons for keeping what they own. 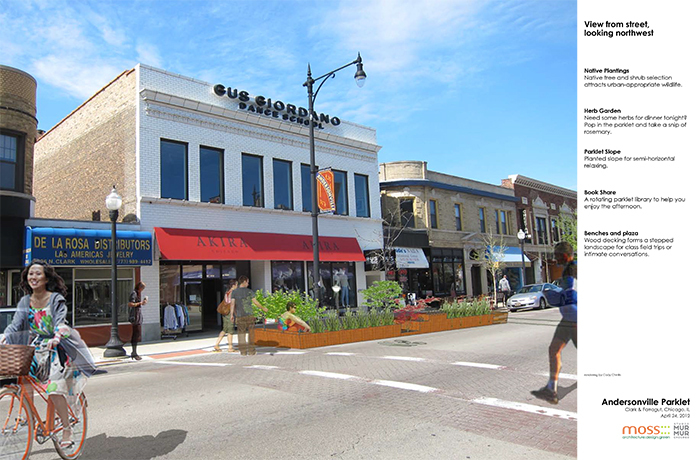 Help Us Build a Parklet in Andersonville! 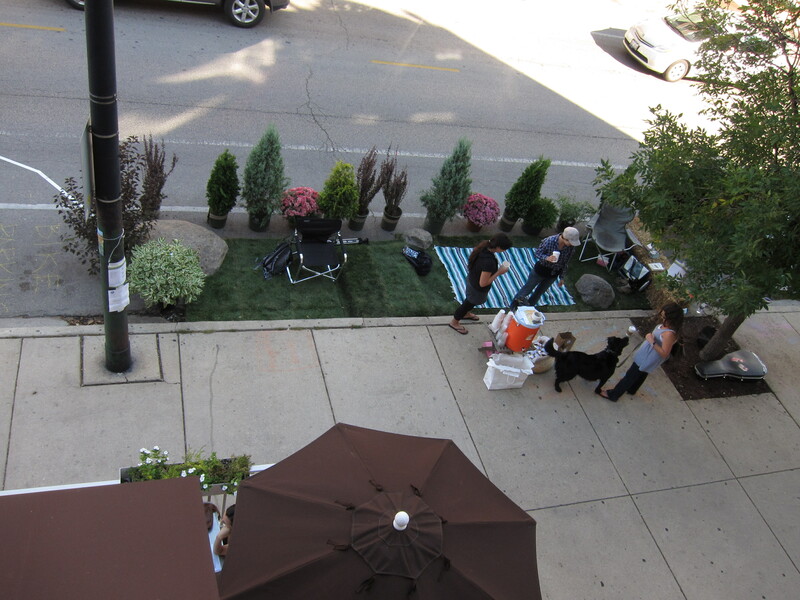 Three years ago, we held Chicago’s first PARK(ing) Day in Lakeview, where we transformed a few parking spaces into a fun, public green space for a summer day. Now, we, along with eco-Andersonville and the Andersonville Development Corporation, are excited to announce a semi-permanent iteration of PARK(ing) Day: a parklet in Andersonville at Clark and Farragut. Parklets, which are popping up all over the world (SF tour, here), are mini urban retreats, complete with plant life and seating areas. They provide more green space in the thick of cities, which often lack communal places to sit and watch the world go by. Watch the video, learn more about the project, and support our kickstarter here. We’re gathering funds for seasonal plantings, park seating and future parklets, three of which are in the works in the coming years. If you scroll down a little (or click here) you’ll remember that a few weeks ago, we posted about Chicago’s coldest day in recorded history. And then, for fun, we sought out the world’s coldest recorded temperature (-129 F!). 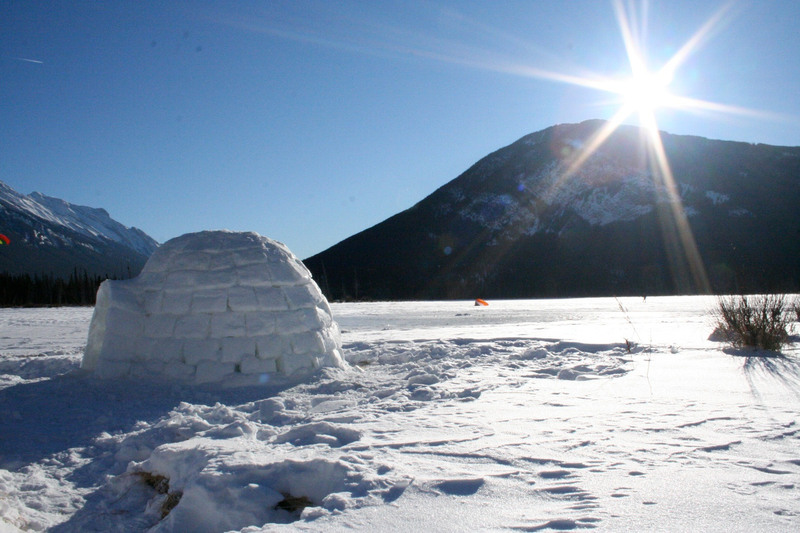 Not that Antarctica has any permanent residents or anything (it doesn’t) but wondering how people kept alive in the cold before Central Heating laid the foundation for the first of a series of posts we’re doing on ancient architectural techniques, and how some of them can inform a more sustainable future.